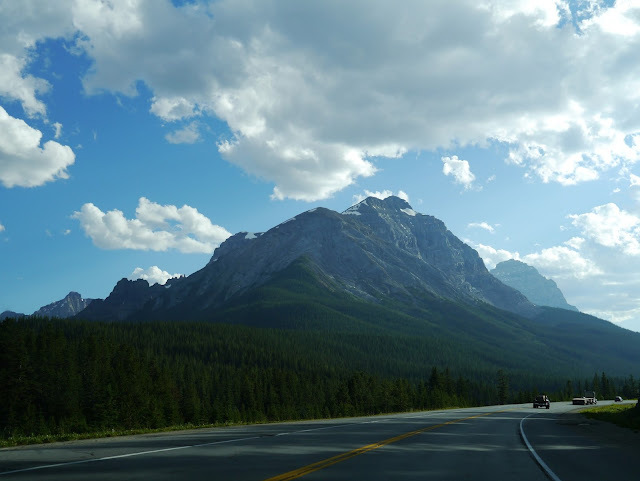 On the first day of our drive we stopped by the picture perfect and tourist friendly town of Banff. 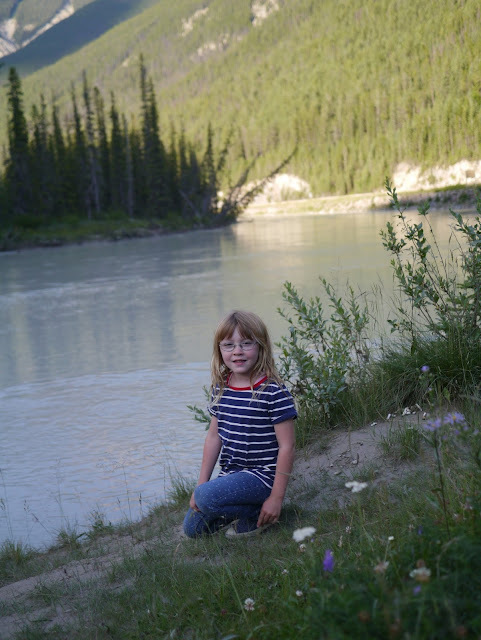 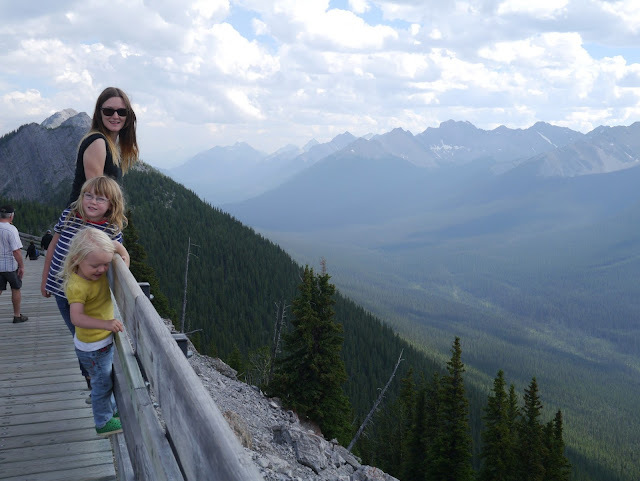 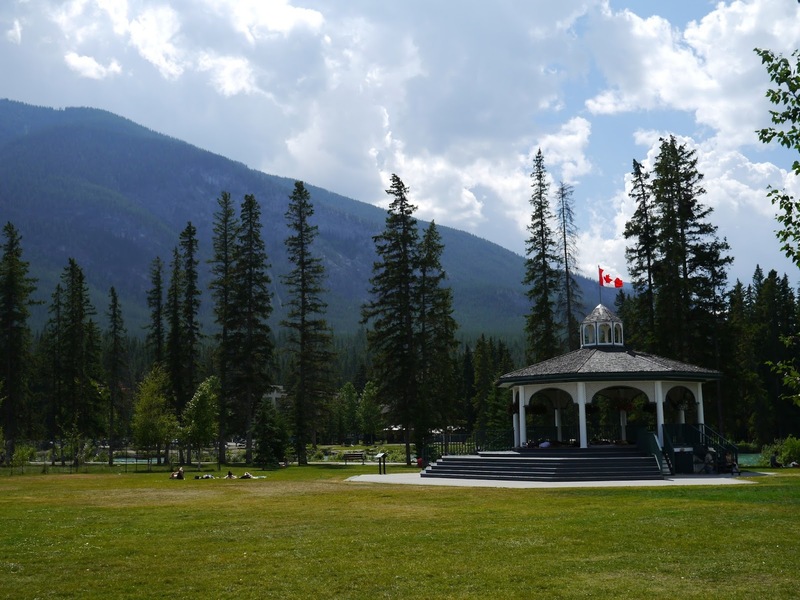 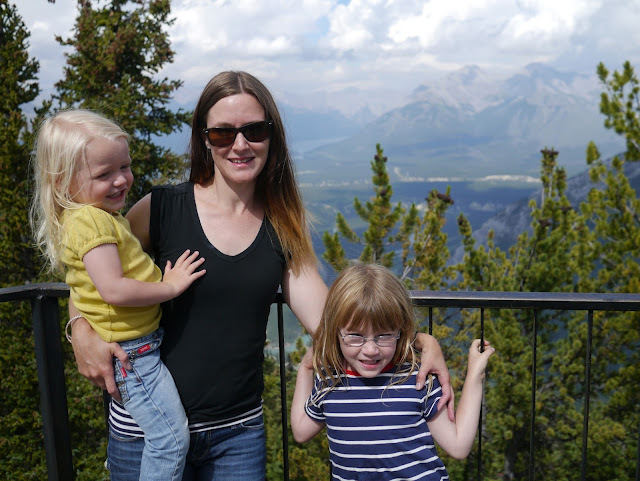 We had a picnic lunch in a park from the farmer's market and soaked in the scenery (and a little sun) before heading to Banff Gondola and the peak of nearby Sulphur Mountain. 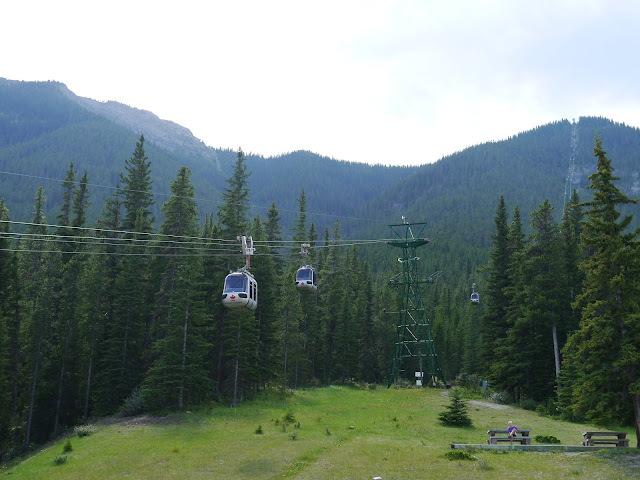 The gondola ride up the mountain was great. 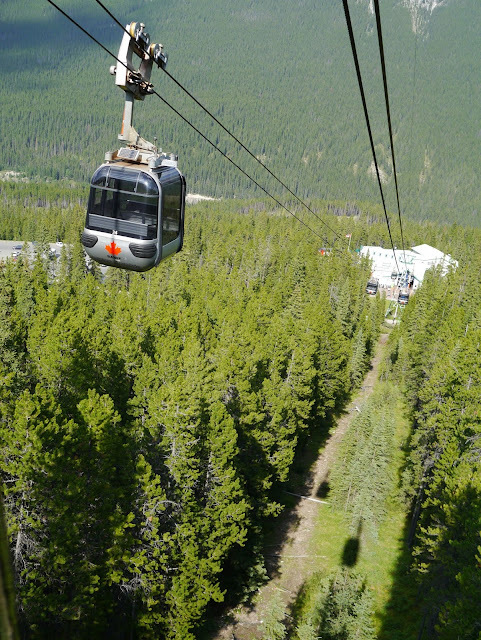 Little gondola carriages seating four people glide up and down the mountain on constant rotation. 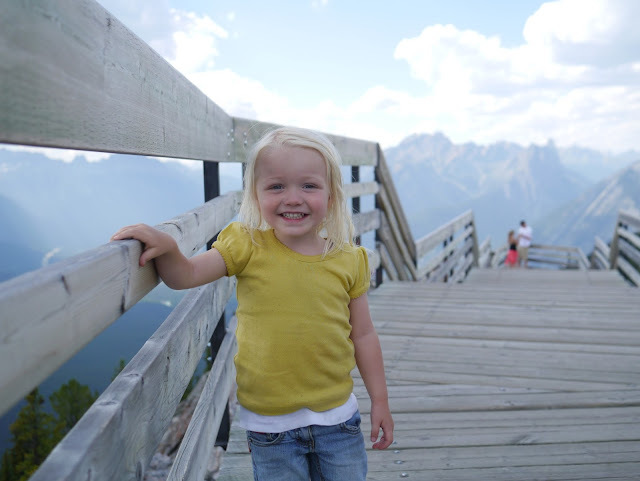 Ava was a little wary of the swaying as we ascended but still quite enjoyed it. 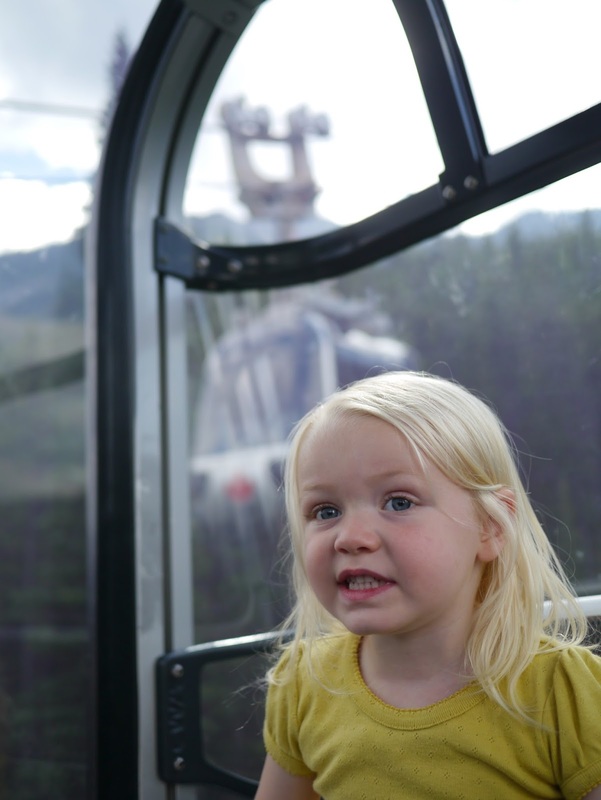 Lola absolutely loved the gondola ride. 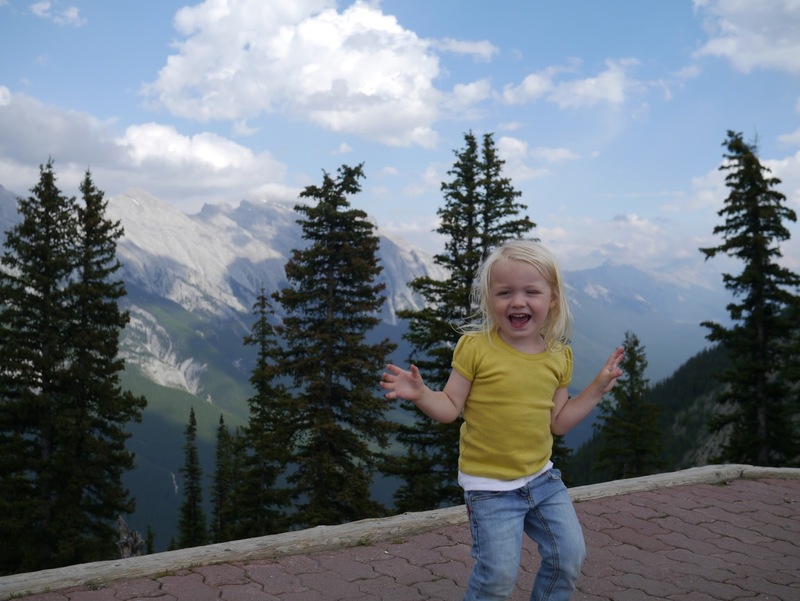 In fact, the whole way up and down she would repeat "I love this" over and over! 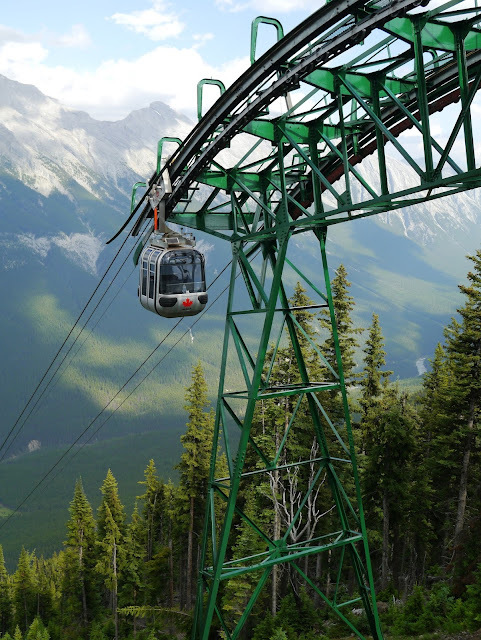 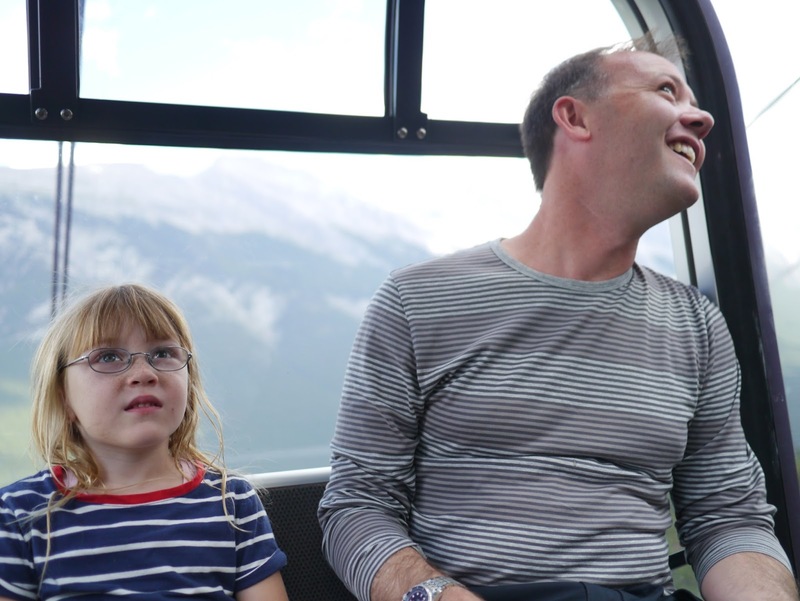 After a speedy eight minute trip the gondola had climbed 698metres taking us to the Summit Upper Terminal and an elevation of 2,281metres. 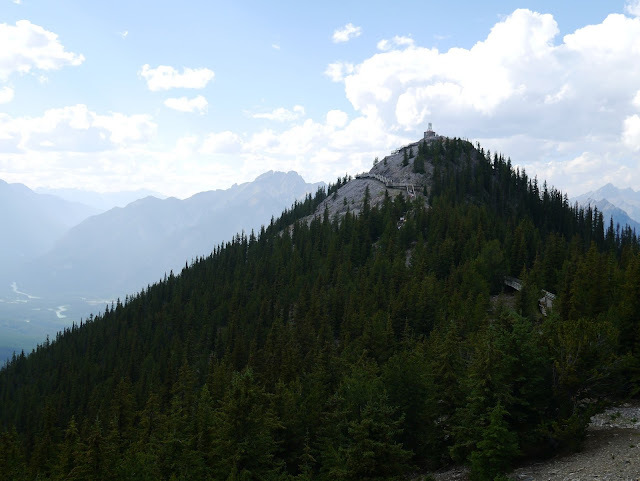 That's pretty high! 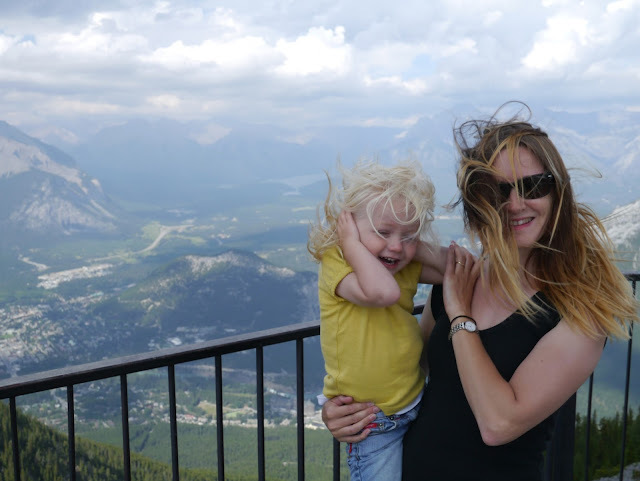 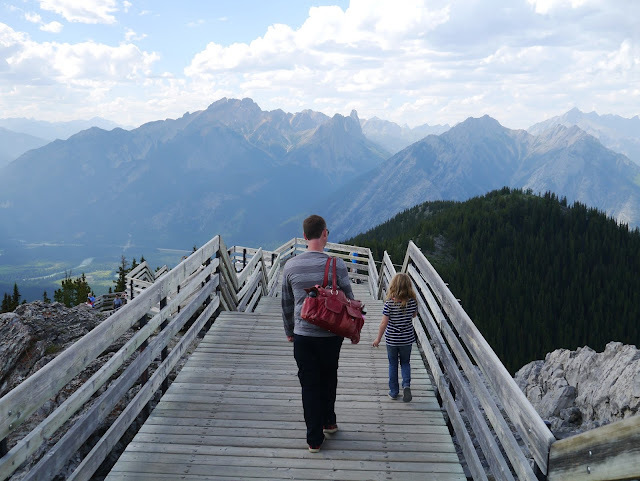 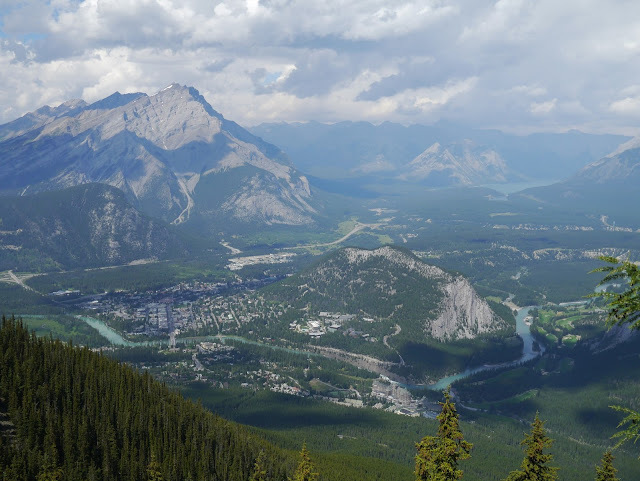 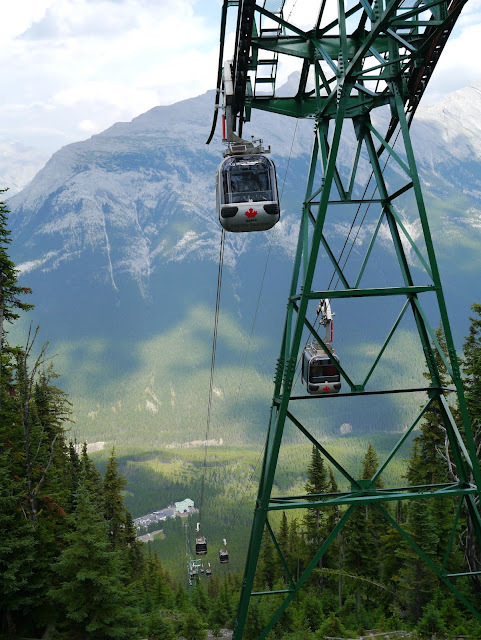 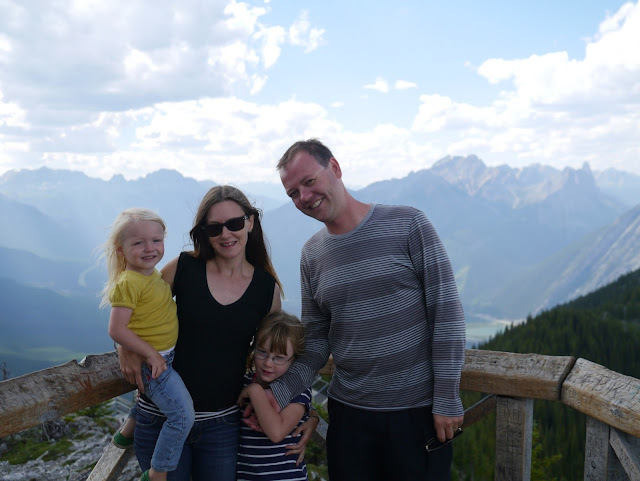 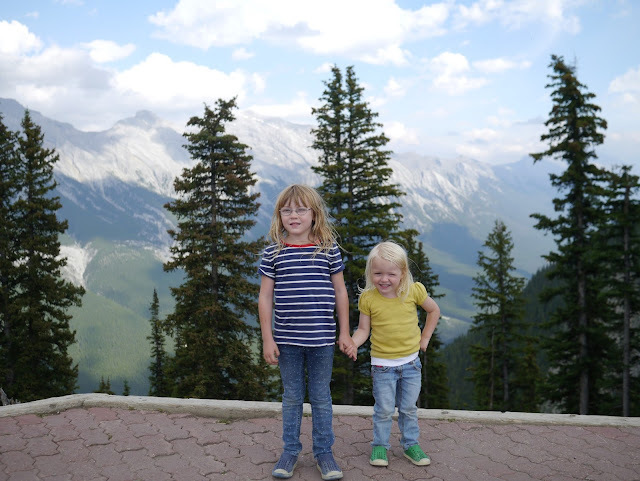 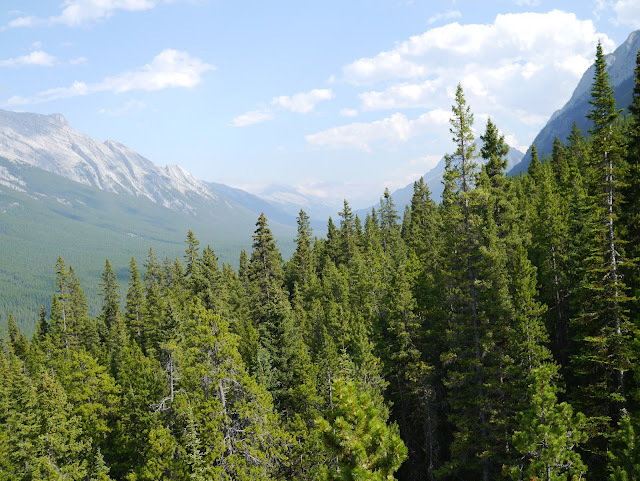 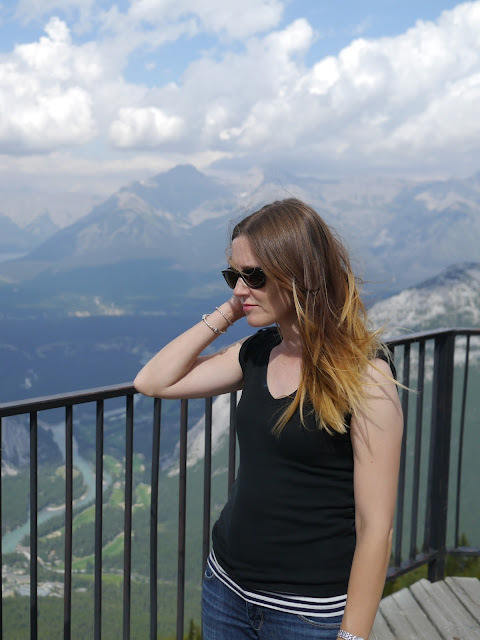 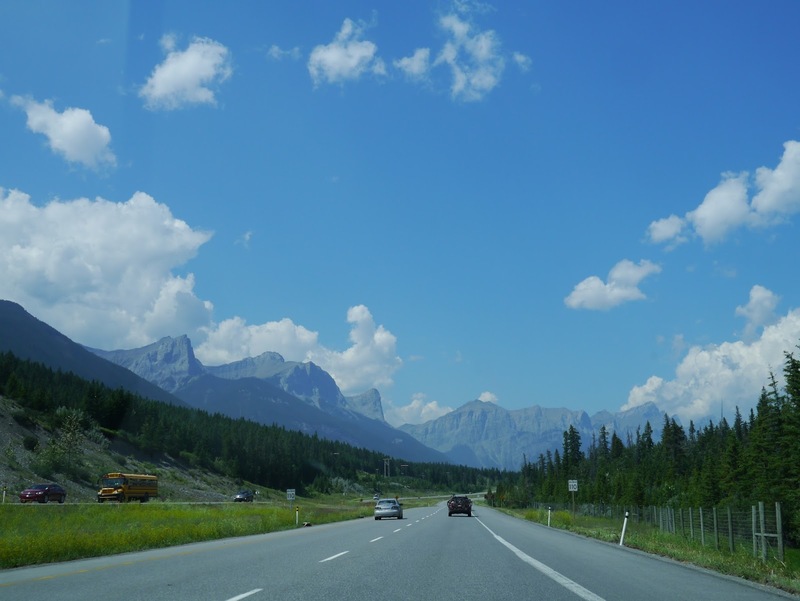 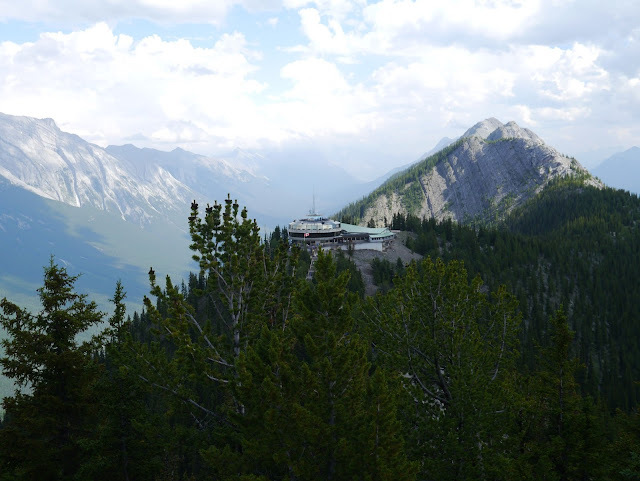 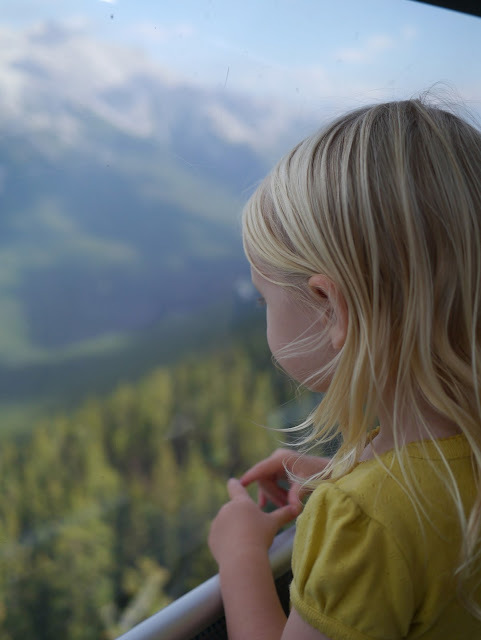 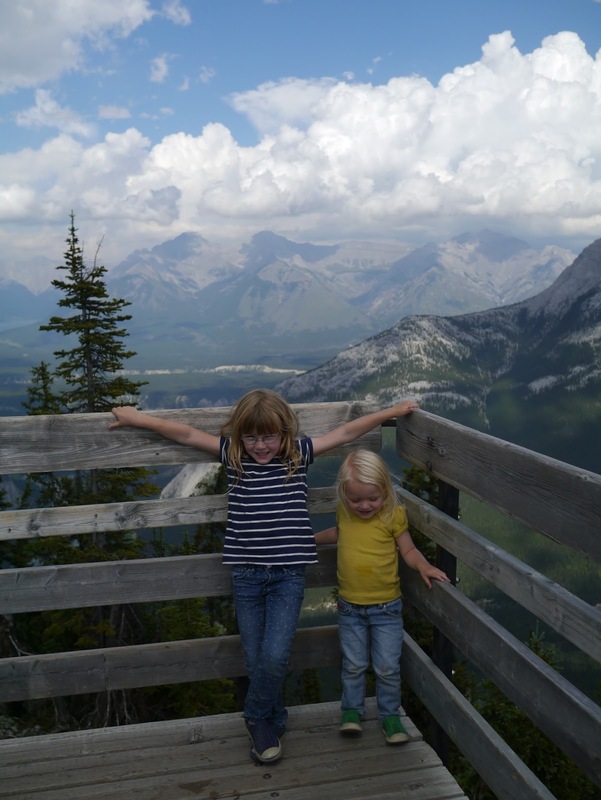 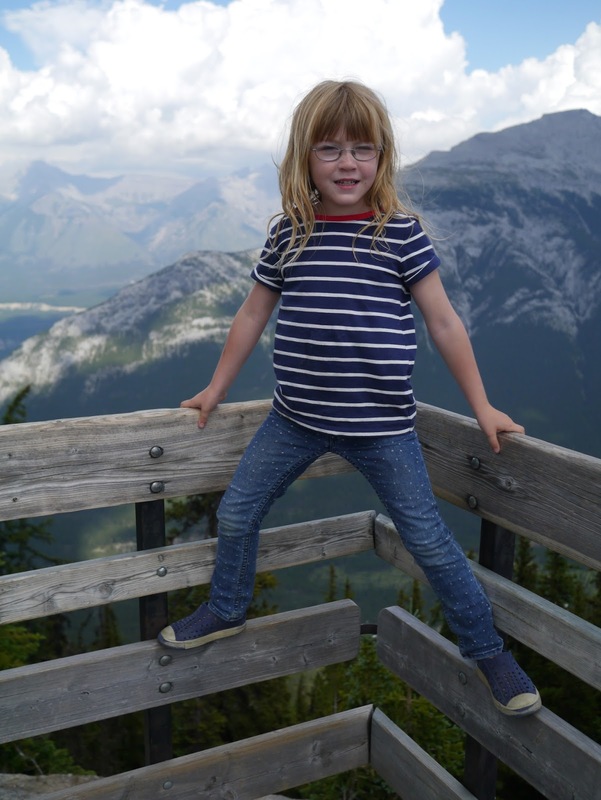 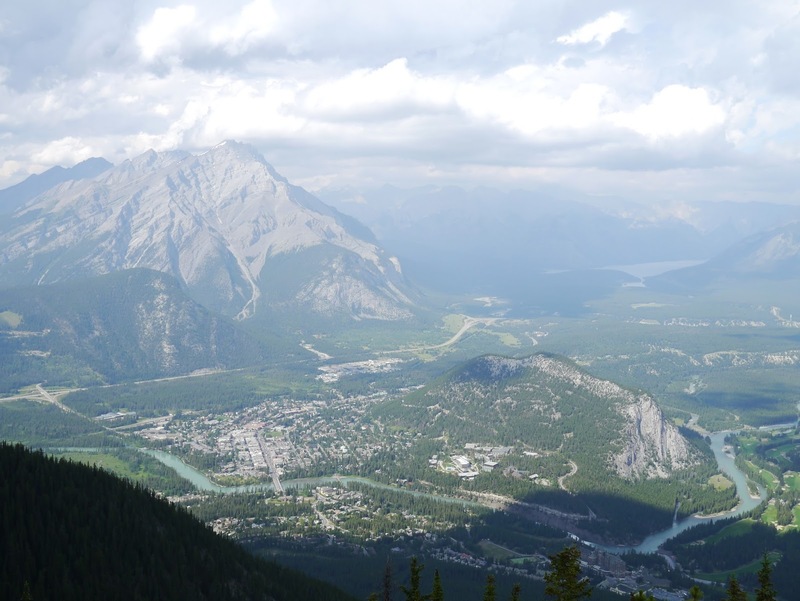 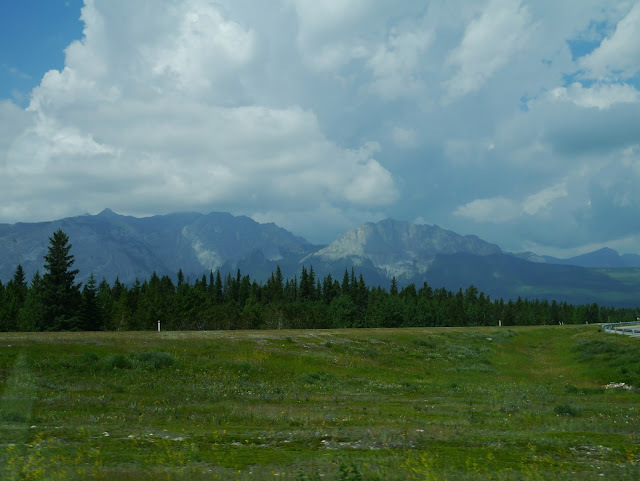 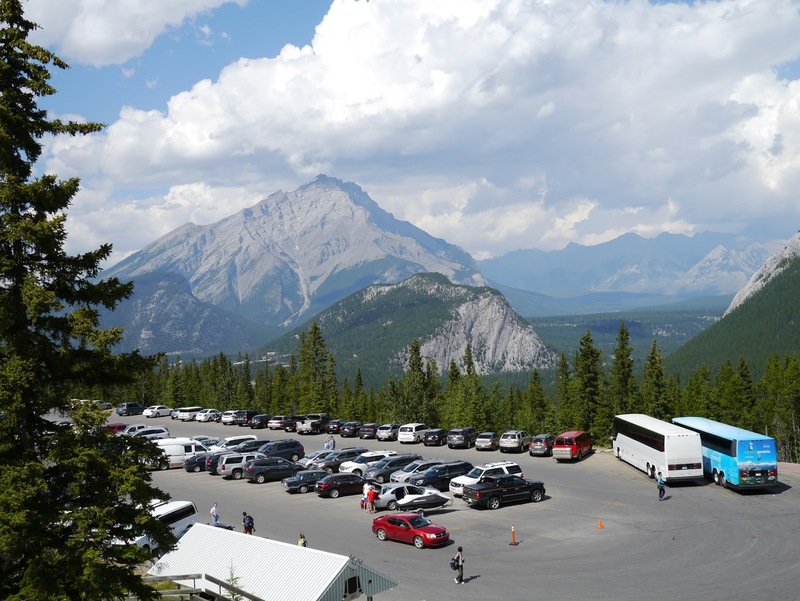 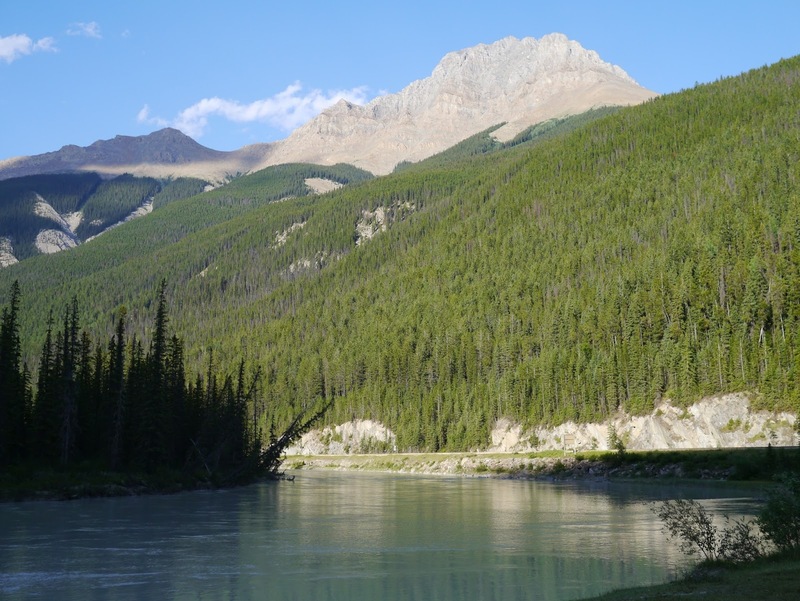 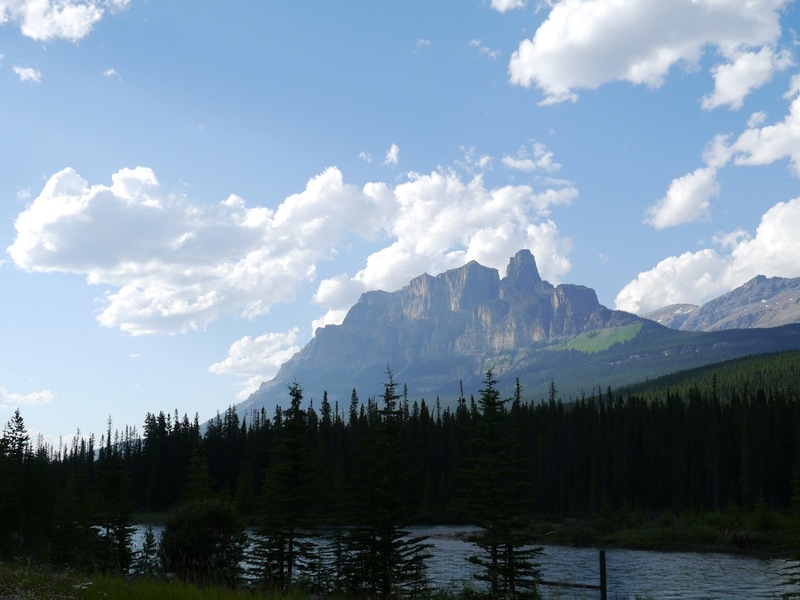 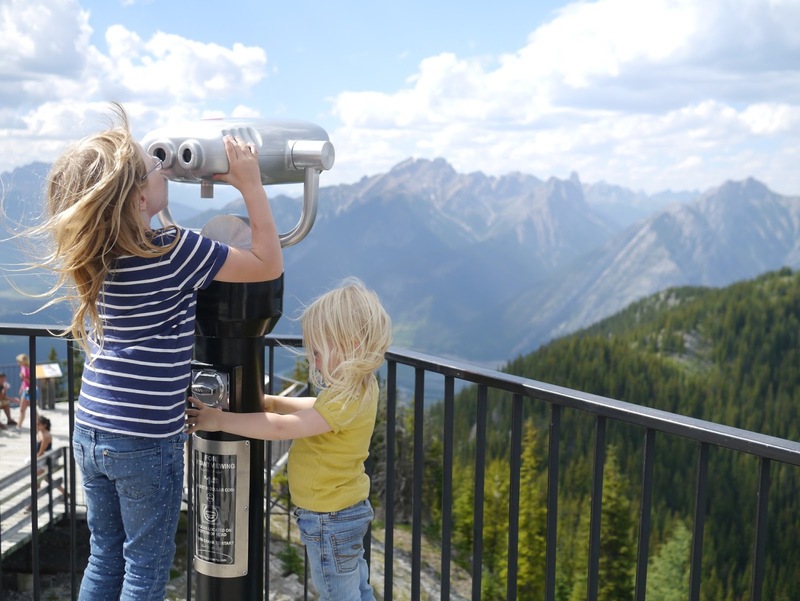 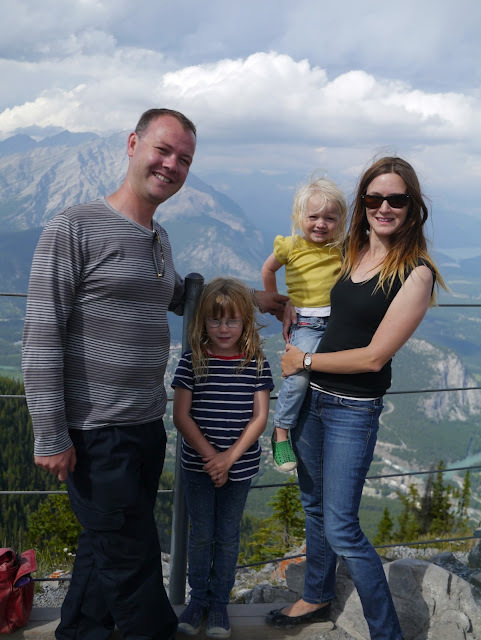 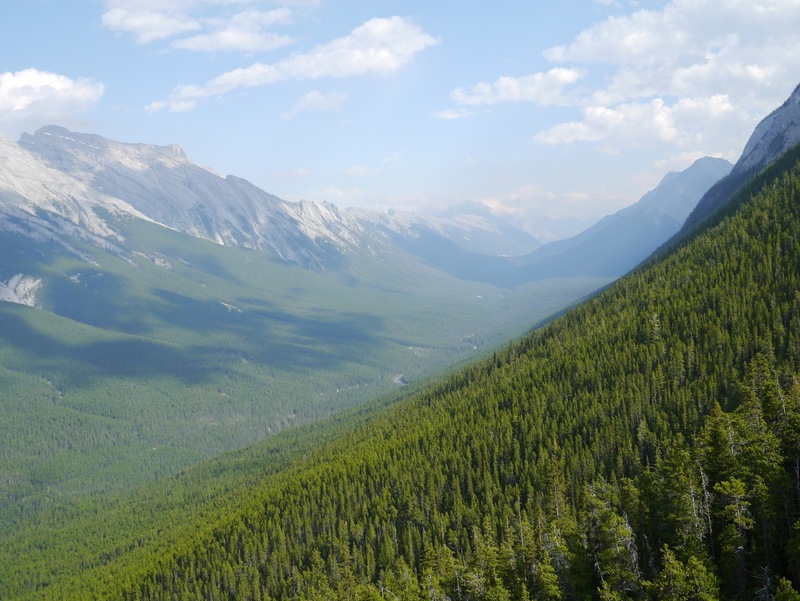 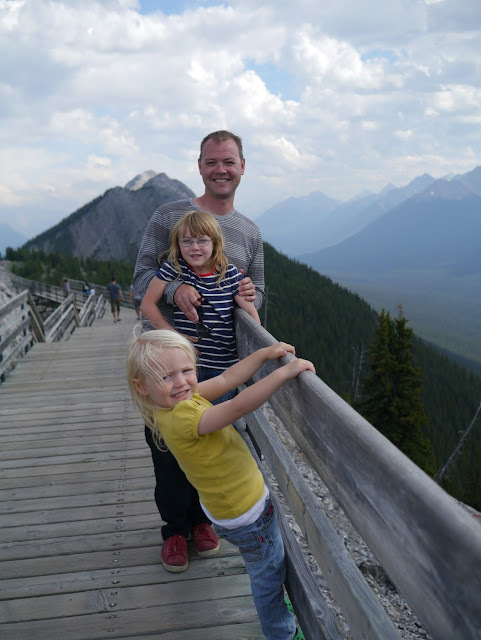 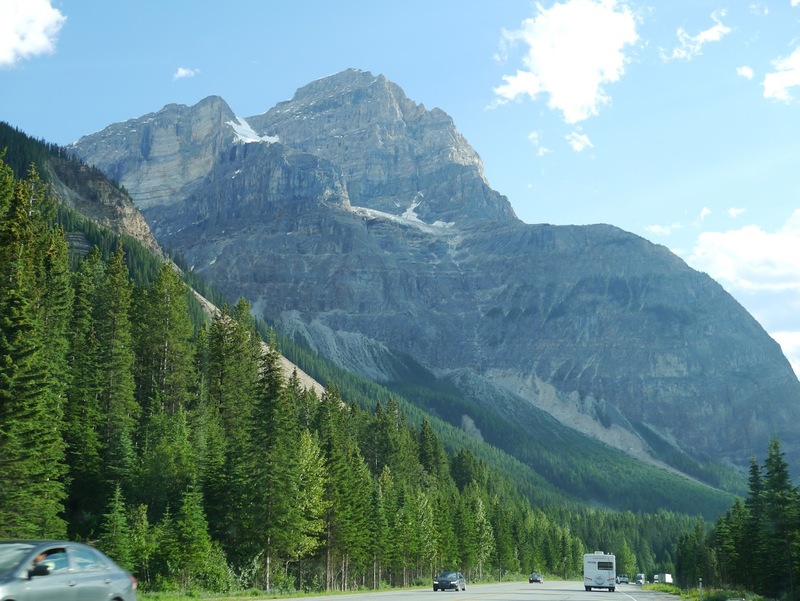 The views over Banff and the surrounding mountain ranges were spectacular as you can see in the photos. 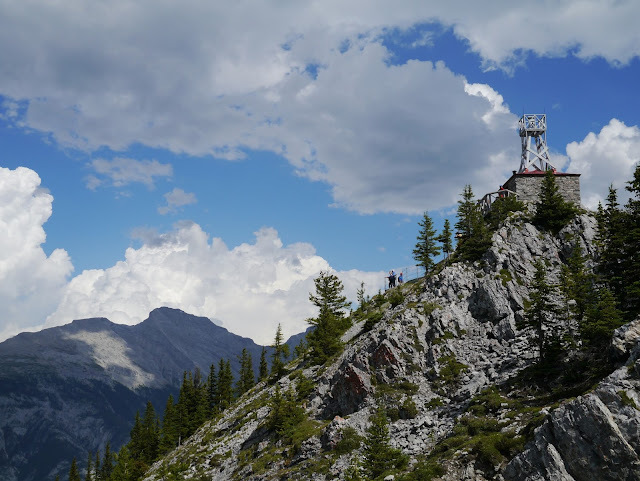 From the Summit Upper Terminal we embarked on the 1km long Banff Summit Walk along the summit ridge to the historic Sanson's Peak Meteorological Station. 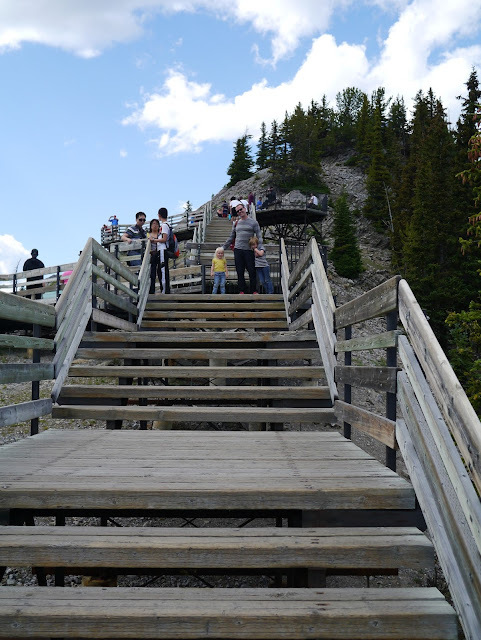 The walk is a pretty easy one along a decked walk way. The girls did really well and both walked pretty much the whole way there and back, although Lola did want to be carried for part of the way back. 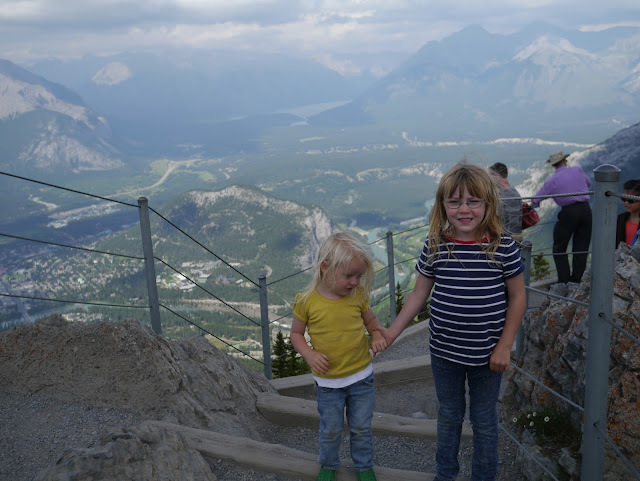 All that walking and stair climbing is tiring for those little legs! 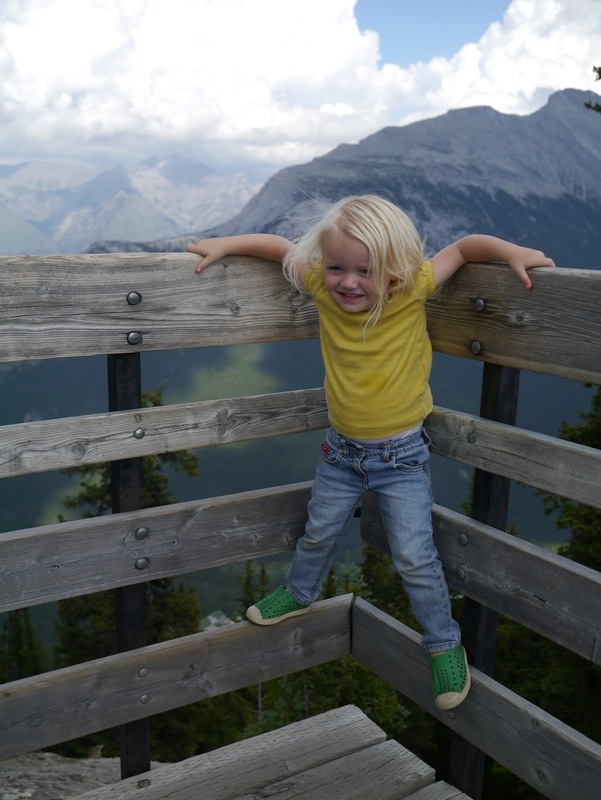 A little small to copy Ava's pose! Lola kept saying "Daddy is a girl" as he was carrying my handbag! 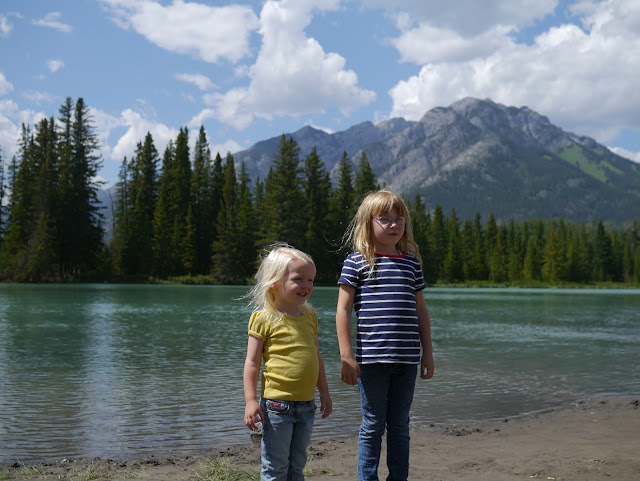 The background almost looks like a Pixie photo backdrop from my childhood! Back in the gondola again we headed back down the mountain taking in the beautiful views every second of the ride. Once again Lola repeated "I love this" over and over! Back on the road there were more stunning views. 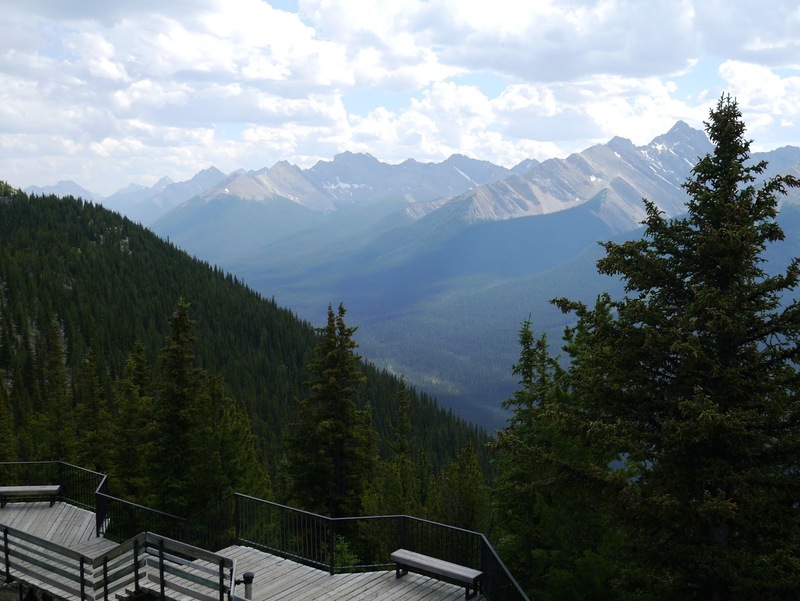 What amazing scenery! 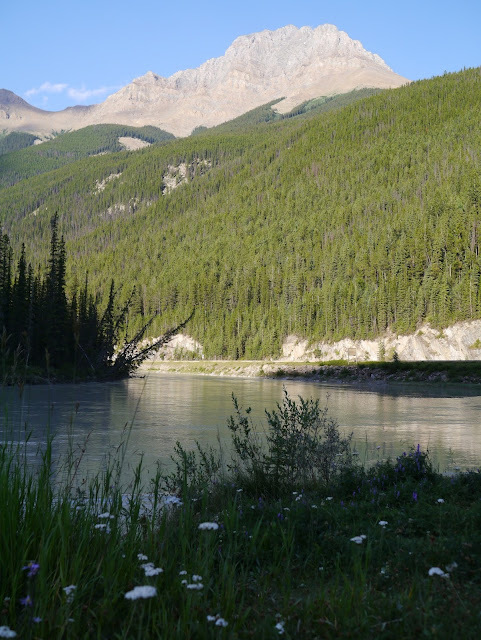 We stopped for a break beside this river below which was running white. 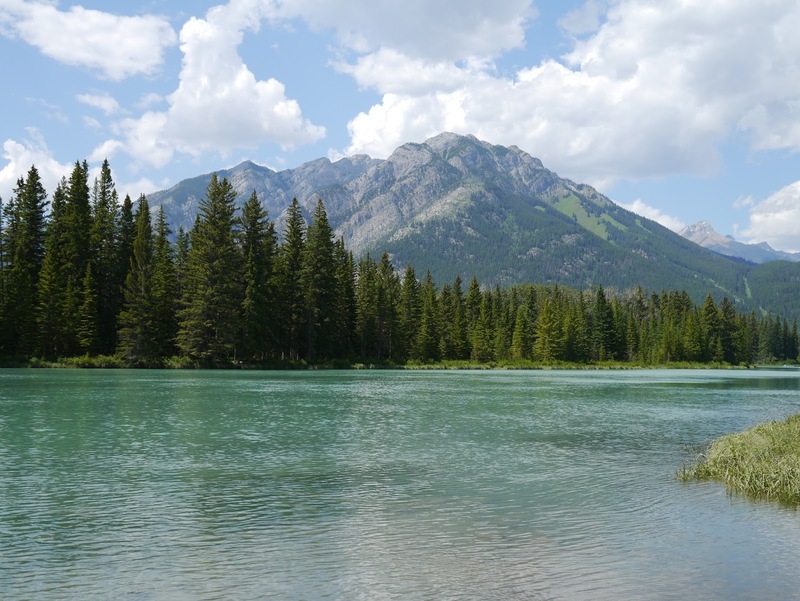 The water really was an amazing, almost opaque white colour, similar to the rocky mountain in the background. 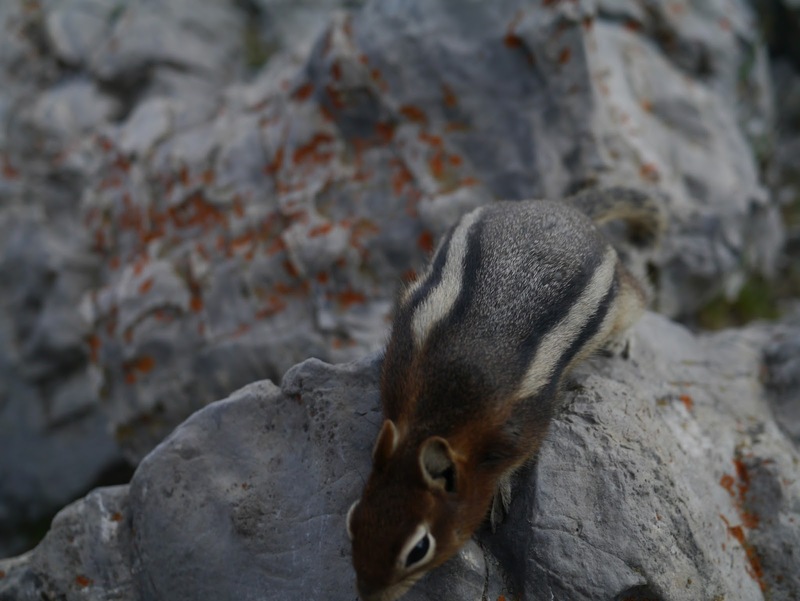 It almost looked like milk! While we stretched our legs I was a little worried about the possibility of a bear stumbling upon us. 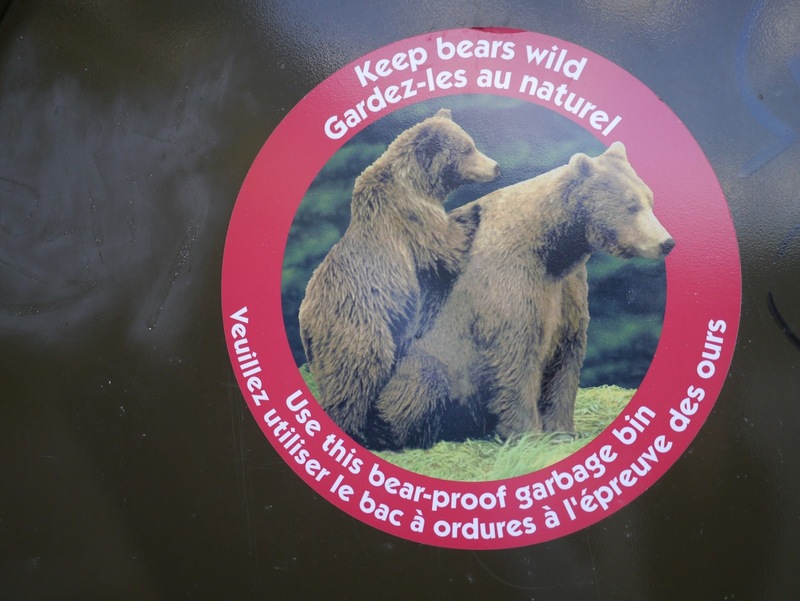 The signs on the "bear proof" garbage bin at the rest stop didn't help! We didn't see any bears though - just a strange couple who arrived in their flame emblazoned car with a pair of large exotic parrots as travelling companions! 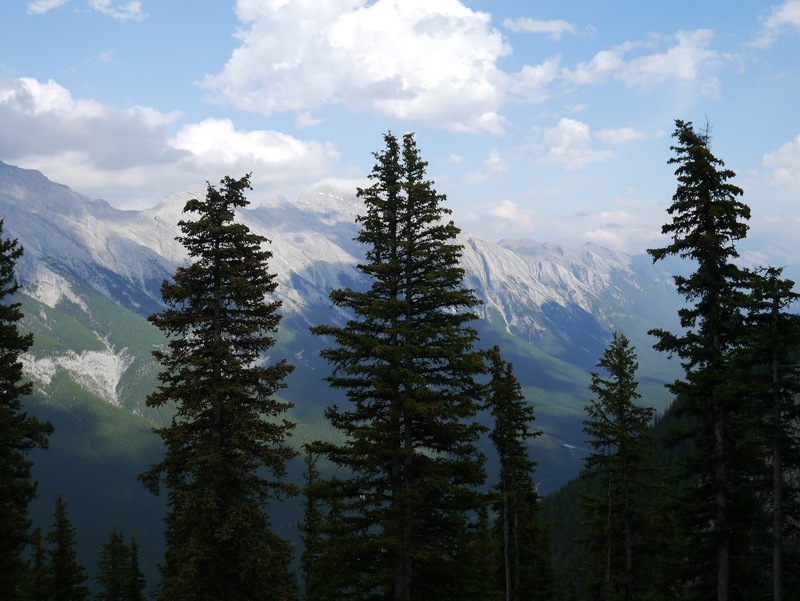 The Canadian Rockies really are simply majestic. Such a beautiful part of the world and such a beautiful day. 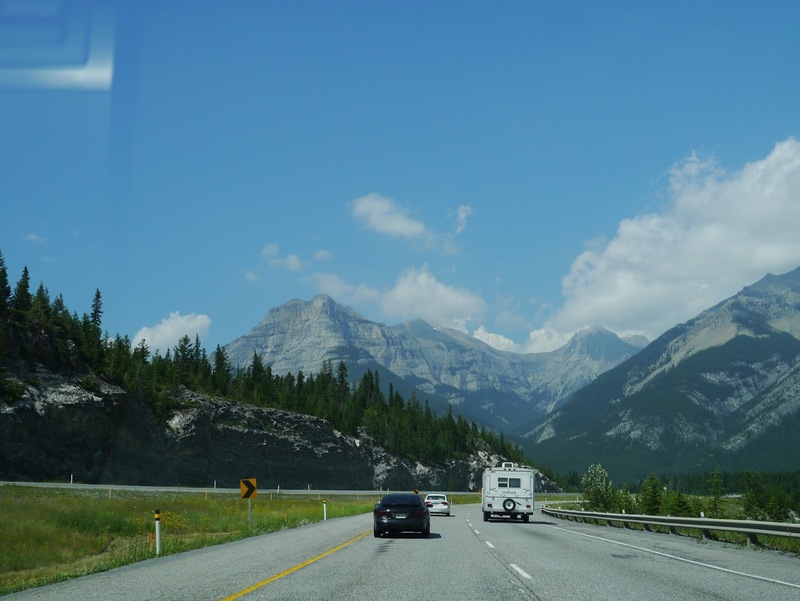 Stay tuned for the next instalment of our Canada trip... Vancouver.